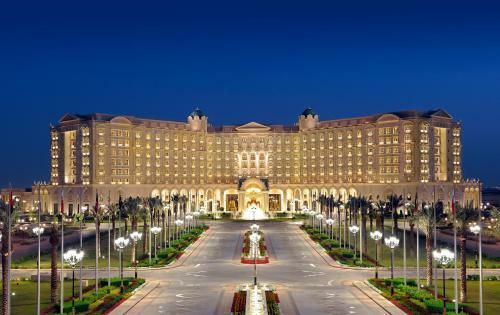 The warmly decorated rooms at The Ritz-Carlton, Riyadh come with a satellite LCD TV and a CD/DVD player. The rooms also include a bathrobe with slippers, and a seating area to relax. A breakfast menu is available daily in The Ritz-Carlton, Riyadh's main buffet restaurant. 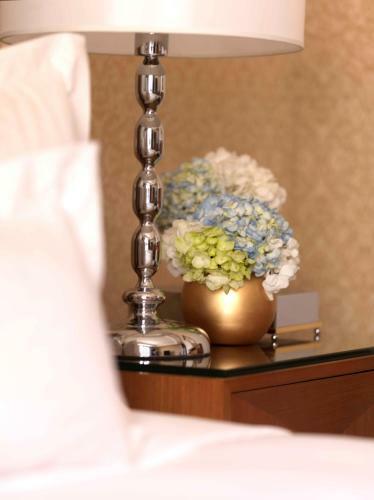 Guests can also choose from Lebanese, Italian and Chinese cuisine, or order in room service. The outdoor terrace offers a pleasant spot for an afternoon tea. Guests can also enjoy a wide selection of Cuban cigars. The swimming pool dome has large floor-to-ceiling windows overlooking the landscaped gardens. The wellness area also includes a sauna and a fitness centre for work-outs. It also features a 6-lane bowling alley with a bar serving alcohol-free mocktails and smoothies. The 24-hour reception staff offers car rentals and free private parking. The hotel is located a 40-minute drive from King Khaled International Airport, and is just opposite Riyadh’s diplomatic area. This suite has a seating area, iPod dock and CD player.